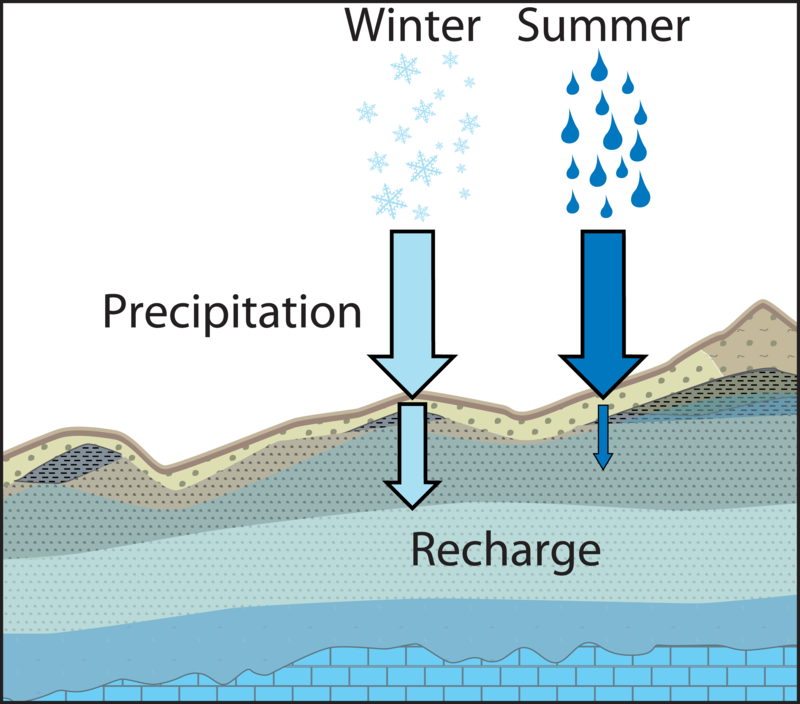 Groundwater is renewed by rain and melted snow that moves under the ground, a process called groundwater recharge. The percentages of summer versus winter precipitation that make it under the ground are expected to be different for a number of reasons including larger plant water use during the summer, and larger areas of frozen ground during the winter. Our recent research shows that winter precipitation is more likely to move under the ground than summer rain in many areas, including grasslands in Canada and the USA, deserts in Australia and Mexico, and valleys in China and Europe [Jasechko et al., 2014]. But most groundwater is managed over many years, not single seasons [Gleeson et al., 2010]. 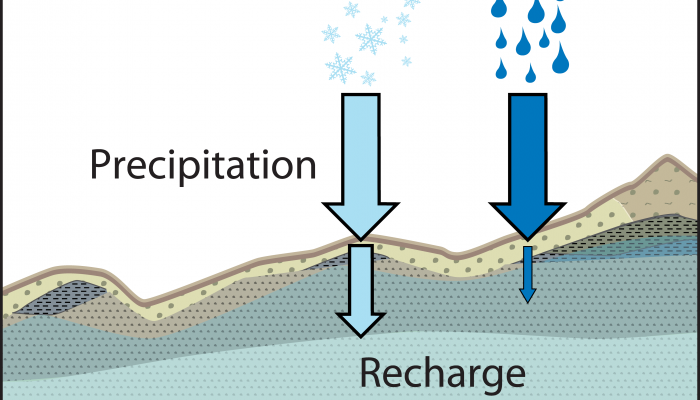 So who cares if recharge is biased to winter precipitation? That groundwater recharge is biased to the wintertime matters because of ongoing and anticipated climate change. The warming world is changing how much precipitation falls during the winter and how much falls during the summer [Vera et al., 2006]. One implication of our work is that changes to winter precipitation are likely to have a disproportionately large impact on groundwater recharge compared to similar changes to summer rain. Winter snow packs are declining in many cold areas [Hernández-Henríquez et al., 2015]. The impacts that declining snow packs and other changes brought on by global warming will have on groundwater recharge, remain unclear. 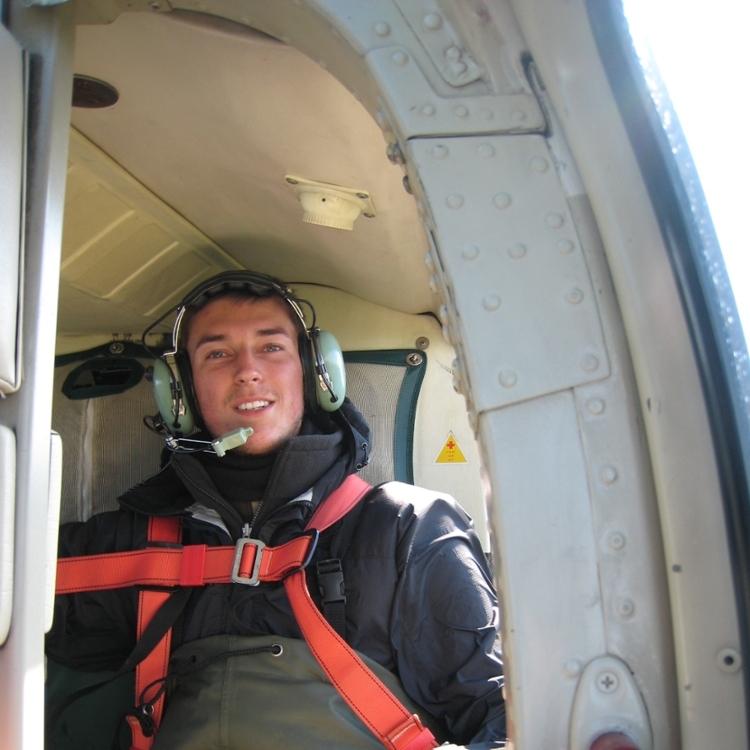 What is the best journal to submit groundwater research this year?